7.5 hectares with barn which can be converted into habitation. Great project, possibility to make a 3 bed house with garden. Correze is situated on the western edge of the Massif Central and contains some of the prettiest villages in France. Agriculture is the main economy with arable land making up around one third of the department. 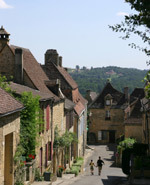 There are two main rivers cutting through the landscape, the Vezere and the Dordogne. The latter has been tamed by a total of five dams producing a number of large lakes in the south. 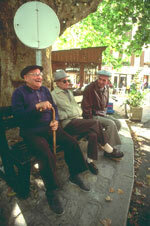 Tulle, with a population of 15500, is the departmental capital. It's found stretched out over 3 km on both banks of the River Correze. There's a vibrant market held every Wednesday in front of the Gothic and Romanesque Cathedral, which sells lace, clothes and an extensive selection of local produce. There are a few interesting sites worth visiting. The Musee de la Resistance et de la Deportation chronicles the events in the local community during World War 2, the Musee des Armes Anciennes has a wide display of weapons, the boutique du poinct de Tulle will tell you about the town's history of lace making and the Musee de l'Accordeon will tell you all about this intriguing instrument. Tulle now has the only remaining factory, which manufactures it. There are a number of towns listed in the exclusive Les Bleaux Villages list. Collonges la Rouge with its bright red sandstone houses is one of them. It is adorned with flowers and surrounded by a lush green landscape. There's a half-Romanesque church in the centre, which was once used by pilgrims stopping off on their way to Compostela. Another proud member, without a hint of modesty, is Beaulieu-sur-Dordogne. It is one of the most attractive medieval villages in France. Finally, Treignac is one of the largest villages on the list. It is very lively and has much on offer. Despite being razed to the ground by Louis de Pompadour it still has an impressive Gothic bridge from the 12th Century. In the South of the department you'll find what the British still refer to as the Dordogne. The French use its ancient name, Quercy, to describe the vast area of attractive landscapes. It receives considerably fewer visitors than the rest of the Dordogne. Brive Vallée de la Dordogne Airport currently offers seasonal flights to/from the UK. But for a more regular service, the airports to use are Limoges, Rodez and Bergerac, outside the department. If you'd rather get there by land then the TGV, which will take you to Limoges, is recommended. The local council is investing a lot into comprehensive transport links in order to accommodate new visitors and businesses to the area. While the property in Correze is more expensive than the rest of the Limousin, it is still great value for money and has enormous potential for the future. The department has an active rental market, although it stronger in the west where the highest returns are to be found. Do you know Corrèze better than we do? Do you have photos of Corrèze? The Corrèze is the most southerly department of Limousin in central France.